Heavy metal legend Ronnie James Dio has been named one of the greatest singers of all time via LA Weekly’s “The 20 Best Singers Of All Time” feature. 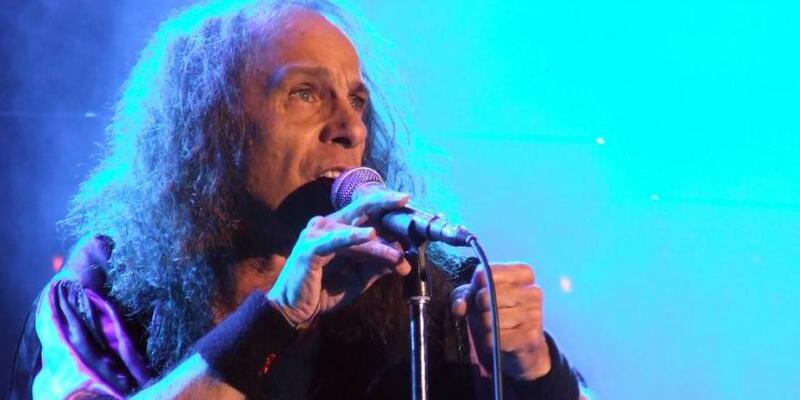 Coming in at #20, the renowned vocalist anchors the list – positioned among many diverse and fellow legendary powerhouses such as Freddie Mercury, Mariah Carey, Amy Winehouse, Ella Fitzgerald, and Marvin Gaye – making Dio the only heavy metal vocalist to make the cut. 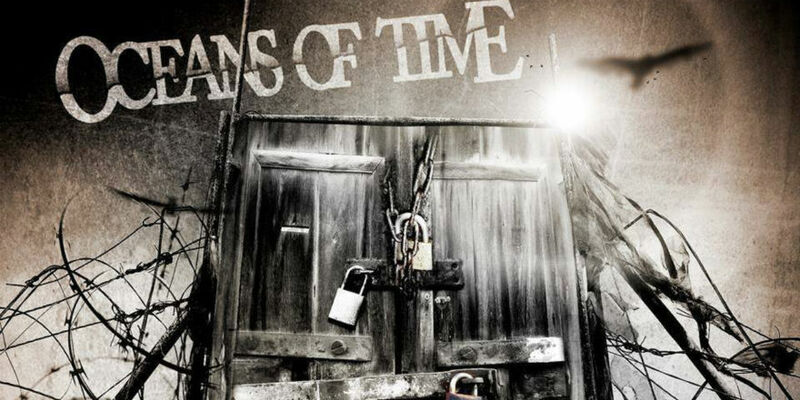 Best known for replacing Ozzy Osbourne in Black Sabbath on the band’s 1980 classic album Heaven And Hell, Dio‘s storied career also includes singing in bands such as Elf, Rainbow, and his namesake, Dio. The singer’s legacy was tragically cut short on May 16, 2010 after losing a battle with cancer at the age of 67. 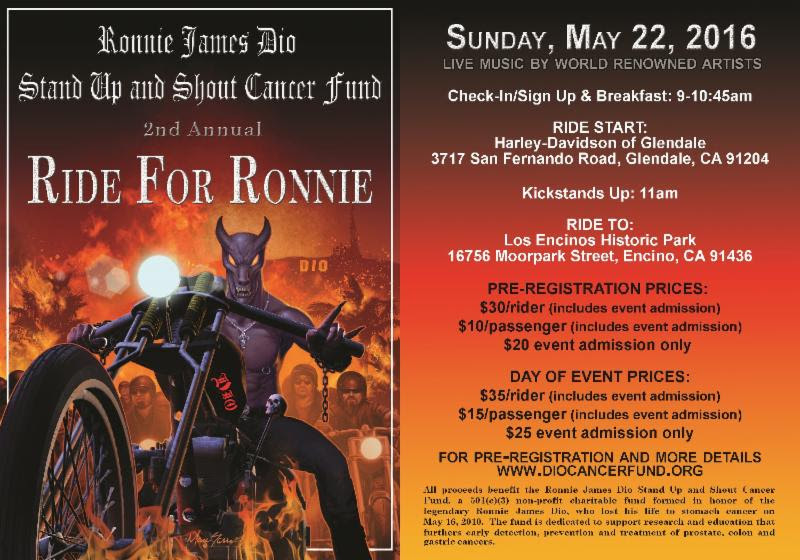 If you are located in SoCal or are able to travel to the area, join Wendy Dio and the Ronnie James Dio Stand Up and Shout Cancer Fund at the 2nd Annual RIDE FOR RONNIE Motorcycle Ride and Concert, taking place on Sunday, May 22, 2016. 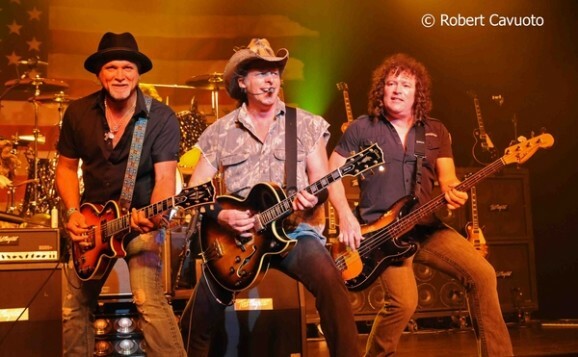 On that day, riders will depart from Harley-Davidson of Glendale,CA and ride to Los Encinos Park in Encino, CA, where they will be treated to an afternoon of live music, raffle/silent auction, food trucks and more. See the poster below for more information and prices, or visit http://www.diocancerfund.org. 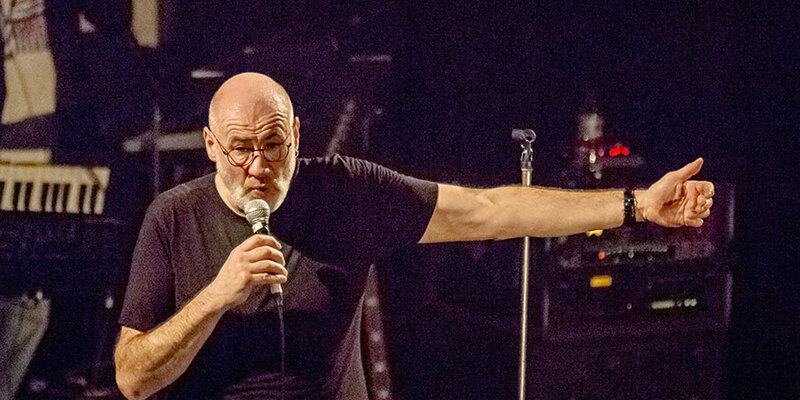 Billed as the ‘Farewell to Childhood’ tour it marked the 30th anniversary of the release of the Marillion album ‘Misplaced Childhood’.